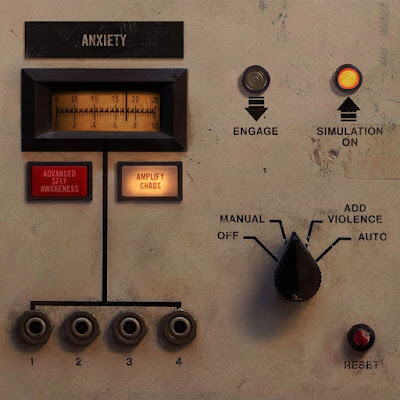 "Add Violence finds Nine Inch Nails becoming more accessible and impenetrable at the same time. The sonic palette expands significantly from Not The Actual Events, incorporating elements of beauty into the dark dissonance. The narrative arc linking the three records begins to emerge through the disassociated lyrics and the provocative and clue-filled cover artwork and accompanying physical component, available exclusively through the NIN.com store." Add Violence arrives digitally on July 21st, as a "digital EP and physical component" on August 7th, and on CD September 1st. View the options over at NIN's store. The official video for "Less Than" features a customized version of the video game Polybius. Reznor reportedly cold-called the game's designer and together they made Reznor's vision a reality. Watch the video below and learn more about how it all came together here.